After two sold-out performances in 2017, “Princess Ten Ten and the Dark Skies: A New Musical” returned for three showcase performances on May 25 and May 26 in Watkins 1000. This revised version included new music and lyrics by Jacqueline Emerson (most known for her role as Foxface in “The Hunger Games”) and arrangements and orchestrations by Lee Huff (music composer for “Stranger Things: The Musical Tribute”). “Princess Ten Ten and the Dark Skies” is an adaptation of the children’s book of the same name by media and cultural studies professor Setsu Shigematsu. The book is part of the Guardian Princess Alliance series, a collection of storybooks about diverse princesses who promote environmentalism, diversity, self-esteem and kindness. The musical, presented by S.T.R.O.N.G. Edutainment and Guardian Ambassadors, was co-directed by Chari Arespacochaga (theatrical director of “The 25th Annual Putnam County Spelling Bee”) and second-year Theatre, Film, and Digital Production major Winter Lawson and adapted to the stage by Maggie Herskowitz and Jillie Mae Eddy. In the musical, Ten Ten, a gender nonconforming superhero, uses her abilities as a wind master to keep the air of Fusan (meaning “wind city”) clean from air pollution brought by the main antagonist, the Zongli (or royal advisor). 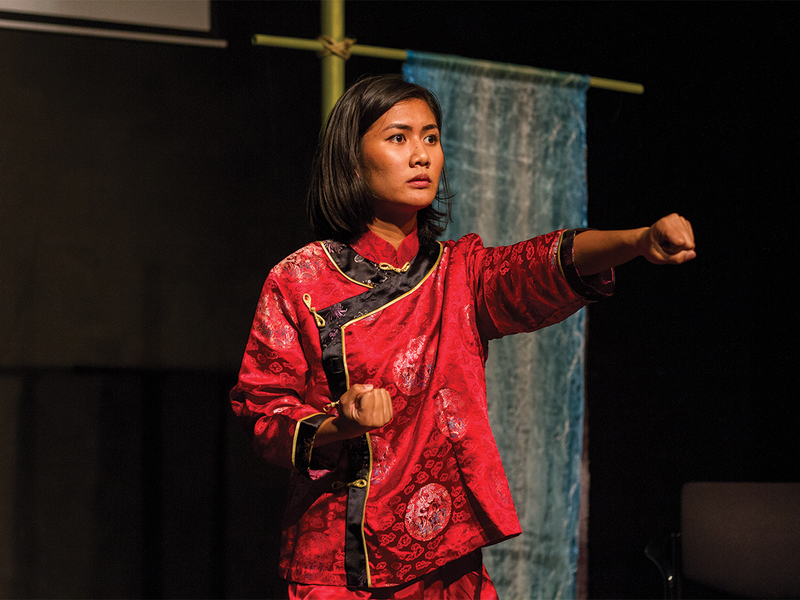 Ten Ten, played by fourth year biology major Angela Briones, is bullied for her gender nonconformity and desire to learn Tiandao, a martial arts form only taught to boys. Among the new additions made to the musical since last year was The Wind (Nick Leppert), who appeared waving blue ribbons alongside Ten Ten. Leppert’s fluid motions added a magical element to the story as audiences were able to see Ten Ten’s abilities as a wind master. There was also an interactive section with the audience later in the musical where attendees are given ribbon sticks to wave along as Ten Ten is celebrated as the guardian of the skies. The highlight of the show was Briones’ energetic and charismatic performance. The music and lyrics highlighted Briones vocal strength as she vibratoed in her solo song, “That Isn’t Me.” Despite not having a microphone, Briones’ voice projected all around the room. One of the strongest scenes in the musical was when Ten Ten’s father, King Wu (Marvin Dollano), expresses his disappointment and embarrassment at Ten Ten’s lack of femininity. The room grew quiet as King Wu projected his voice to scorn Ten Ten with the words, “You’re not the daughter I wanted.” It remained silent as Ten Ten pleaded desperately, begging for her father’s acceptance. The tense scene was brought to life by both actors’ expressions of frustration and vulnerability. 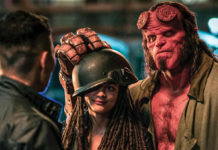 While many positive changes were made in this second revision of the musical, there are still elements that could be improved. The musical felt rushed and did not allow enough development for the relationship between Ten Ten and her Grandmother Sun Hee. Additionally, without the use of microphones, the singing voices of the cast were often drowned out by the music. With just ten rehearsals, the cast and crew of “Princess Ten Ten and the Dark Skies” were able to accomplish a successful showcase. Even though children are the musical’s target audience, it has equal potential to teach adults about the dangers of air pollution and the importance of staying true to yourself.